Welcome to Women’s Ministry of NEPC. We’re all kinds of women, living different lives, yet connected by one common bond – Jesus Christ, our treasure. We recognize how much we need Jesus and each other. We’re intentional, real, grace-receivers and givers, headed in the same direction but still on the journey! Want to travel along? Peruse the opportunities to get involved…let’s link arms and trek together! NEPC’s signature in-depth Bible study for women features personal study, small-group discussion. teachings and commentary readings. A Children’s program is offered for preschoolers (ages 3 and up) and homeschoolers. Nursery is available. Groups will be formed on August 18th. After 8.18.18, ladies will be placed in groups where space is available or placed on waiting list. Audio recording is not available for this week. Please see the "notes" and 'bulletin" links below to download the teaching and devotional from this week. SISTERS IN CHRIST: An adult Sunday School Class for women whose hearts are united through fellowship, prayer and the study and application of God’s Word. Beginning December 2nd: “Guarded by Christ” a book by Dr. Heather Holleman. Books may be purchased in room C-302 for $10. Meets Thursday evenings from 7:00-8:30 pm in the Grand Hall beginning Thursday night, January 24. God’s heart is moved by your cries for help, your shouts for joy, your unspoken worries. We know Him to be a God of unparalled power and authority, but Mark’s account of Jesus paints Him as a deeply personal and intimate God too. In The Gospel of Mark: The Jesus We’re Aching For, follow Jesus through His days of early ministry all the way to the cross. It’s there we discover what it means to be the recipients of His excessive compassion and the very reason for His all-consuming passion. This is an opportunity to reach out to women in the community. Please invite a friend or bring a co-worker. Anyone is welcome! Faithful Prayer warriors who lift up NEPC women and Women’s Minstry needs during their personal prayer time. My name is Gloria Bell and I am the Women’s Ministry Prayer Coordinator. It is my heart’s desire is to see prayer and worship grow at NEPC, that the Holy Spirit will bring a renewed hunger & thirst for this. I’m looking forward to praying with you as we pray and seek the Lord on behalf of others, as well as ourselves. 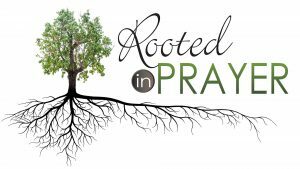 Would you like to grow in your prayer life? We are recruiting new members for our Women’s Ministry Prayer team. 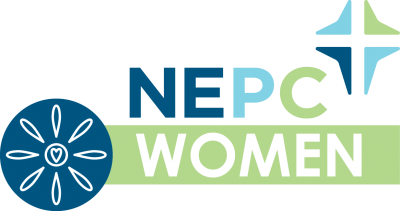 Join us as we pray monthly for the NEPC Women’s Ministries. You can pray at home, in the car or anywhere, on your own time. It is another opportunity to be blessed as you pray that each ministry is effective & fruitful. To sign up or get more information please email Gloria Bell at ronglobell@yahoo.com. Gloria will connect with you so you can begin to receive the monthly Women’s Ministry Prayer Guide. Moms who meet to support each other through sharing their hearts about their children and grandchildren and praying for them. All who have a burden for children—theirs or children of others—are welcome to join us. Every other Thursday, 11:45am-1:00pm in the Prayer Room, C-202. Please contact Carroll Peters, (803)467-7525 or carrollrpeters@gmail.com for more information. 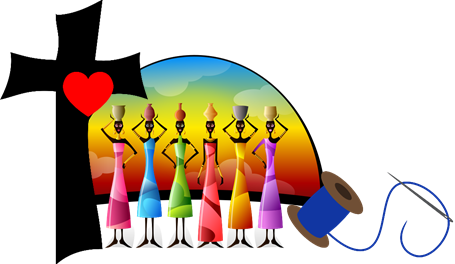 Have you thought you might want to find out more about the ministry of the Julie Vanderpool Quilters of NEPC? Well, hopefully, we’ve made it easier for you to visit. As of March 20, 2019, we will meet on Wednesdays (first and third) from 6:00 to 7:30 in Room B-102A. (Nursery available.) One can participate no matter what season of life or skill level. Sharing lives around quilts has been a nurturing feature for generations and the completed quilts touch needy hearts locally and around the world. Come try us out! To find out more, contact Cathy Tisdale, 736-1561. The Ladies Freedom Project will meet May 7th, 2019 from 10:00 a.m-2:00 p.m. in the Auditorium. A small group opportunity for fellowship, spiritual enrichment and service. Circles meet on the second week of the month from September through May. Gleaners – Wednesday, 11:30 a.m., various homes. Ladies, are you interested in becoming more fit? 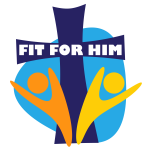 If so, join us on Wednesdays for “Fit For Him”, 10:30 – 11:30 a.m., in the Auditorium (new location). Come and warm up, stretch, increase your heart rate, strengthen your muscles and improve your flexibility and balance! We also fellowship and pray for each other. Open to all ages and levels of fitness. FREE! Contact Anne Turner, 451-4618 for more information. An inter-generational, life-on-life small group that provides a safe and nurturing place to discover your distinctive calling as a woman. Monthly group meetings in homes that include Bible study, encouragement, accountability, and prayer support for all seasons of life! New groups kickoff Monday, January 28, 2019. Register for new or returning groups Sundays in the NEPC Narthex beginning Jan. 6th, 2019. Please contact Peggy Ley, 803-201-7113. Your Women’s Ministry Staff Here to Serve You! Wednesday Night Dinner for April 24th! Nursery opens at 5:45 for infants through 2’s. Kids’Choir begins at 5:45 for K-5th grades. Please visit the Music Page for more information. “The Gathering” for Middle School begins at 6:00 in the 803 Auditorium. Please visit the Students Page for more information. “God Loves Me” preschool program for 3-4 year olds begins at 6:30. Please visit the Kids Page for more information. Kids Quest for K-5th grade begins at 6:30. Please visit the Kids Page for more information. Adult Electives Begin at 6:30. Please visit the Adults Page for details on topics and locations. Grief Share is a seven-week Biblical grief support group for those who have recently lost a loved one. It begins on Wednesday, March 13th and continues thru Wednesday, May 15th at 6:00 PM in room A-205. Led by Pastor John Ropp. Cost is $15.00 for all materials. 01may10:30 am11:30 amFit for HimFREE Fitness Class - NEW LOCATION IN THE AUDITORIUM STARTING APRIL 24th! Are you interested in becoming more fit? If so, join us on Wednesdays for “Fit For Him”, 10:30 – 11:30 a.m.,in the Auditorium (NEW LOCATION!). Come and warm up, stretch, pump up your heart rate, strengthen your muscles and improve your flexibility and balance! Open to all ages and levels of fitness. FREE! Contact Anne Turner, 451.4618 for more information. 01may6:00 pm7:30 pmTHE JULIE VANDERPOOL QUILTERS of NEPCMeets 1st & 3rd Wednesdays! Have you thought you might want to find out more about the ministry of the Julie Vanderpool Quilters of NEPC? Well, hopefully, we’ve made it easier for you to visit. As of March 20, 2019, we will meet on Wednesdays (first and third and fifth) from 6:00 to 7:30 in Room B-102A. (Nursery available.) One can participate no matter what season of life or skill level. Sharing lives around quilts has been a nurturing feature for generations and the completed quilts touch needy hearts locally and around the world. Come try us out! To find out more, contact Cathy Tisdale, 736-1561. 07may10:00 am2:00 pmLadies Freedom ProjectMay 7th! NEXT MEETING IS May 7th, 2019! All ladies are invited to help trace, cut and sew on Sewing Day which results in providing personal products for the women in Zimbabwe. If available, bring a sewing machine and scissors. Also, please bring a sack lunch. 08may10:30 am11:30 amFit for HimFREE Fitness Class - NEW LOCATION IN THE AUDITORIUM STARTING APRIL 24th! 15may10:30 am11:30 amFit for HimFREE Fitness Class - NEW LOCATION IN THE AUDITORIUM STARTING APRIL 24th! 15may6:00 pm7:30 pmTHE JULIE VANDERPOOL QUILTERS of NEPCMeets 1st & 3rd Wednesdays! 22may10:30 am11:30 amFit for HimFREE Fitness Class - NEW LOCATION IN THE AUDITORIUM STARTING APRIL 24th! 29may10:30 am11:30 amFit for HimFREE Fitness Class - NEW LOCATION IN THE AUDITORIUM STARTING APRIL 24th! 29may6:00 pm7:30 pmTHE JULIE VANDERPOOL QUILTERS of NEPCMeets 1st & 3rd Wednesdays!